Version 1 is a suggestion to eat something with the listener – ‘grandma’. Version 2 would indicate the speaker is a cannibal who intends to eat his grandma; she is the direct object of the verb ‘eat’. 1. A woman without her man, is nothing. 2. A woman: without her, man is nothing. This is a famous example of pausing entirely inverting the meaning of a sentence. Version one has the meaning ‘A woman is nothing without her man’ and version 2 has the opposite meaning ‘A man is nothing without a woman’. Version 1 uses the exclamation ‘oh’ to show surprise at the lack of vodka. Version 2 uses the exclamation ‘Oh no!’ to demonstrate a negative reaction to the presence of vodka. The speaker in version 2 might have a hangover. 1. Why don’t you run over, Kate? 2. Why don’t you run over Kate? Version 1 uses the meaning of ‘run over’ as in ‘visit now’, with Kate being the listener. Version 2 uses the transitive ‘run someone over’ meaning to hit them with a moving vehicle, with the object being Kate. Kate would probably prefer to hear version 1. 1. Don’t eat that, honey. 2. Don’t eat that honey.  Version 1 uses the imperative ‘Don’t eat that’, with the determiner ‘that’ referring to an object, ‘honey’ is used as an affectionate term for the listener in this version, like ‘darling’ or ‘dear’. In version 2, honey is the object, so the listener shouldn’t eat the honey. 1. Call me, gorgeous, if you like. 2. Call me gorgeous, if you like. Version one has the imperative ‘Call me’ and this is directed to the listener who is ‘gorgeous’. Version 2 has the imperative ‘Call me gorgeous’ so the speaker believes he is highly attractive and deserves the name ‘gorgeous’. 1. Most of the time, travellers have jet lag. 2. Most of the time travellers have jet lag. Version 1 has 2 clauses, the main clause being ‘travellers have jet lag’ and the adverbial clause gives us further information – ‘most of the time’. The lack of a comma in version 2 indicates that there is just one clause and ‘time travellers’ is a compound noun in the science fiction sense of going into the past or future. 1. We love cooking, children, and watching films. 2. We love cooking children and watching films. Version 1 uses pauses to indicate a list including three things: cooking, children, watching films. Version 2 lacks the pauses and indicates two things: cooking children and watching films. The police would typically need to be informed in the second case. The second comma in version one is optional, and is often referred to as an ‘Oxford Comma’. 1. How do you write? Clearly? 2. How do you write ‘clearly’? / How do you write clearly? Version one is two questions – a general enquiry about the quality of your writing, immediately followed by a yes/no question – ‘Clearly?’, which is an abbreviated form of ‘Do you write clearly?’ in this case. The second version is asking how to physically write the word ‘clearly’. A third option is possible, asking what your technique is for writing clearly – clearly being an adverb in this case. The third option would sound similar to the second. 1. What is this thing called, love? 2. What is this thing called love? In the first version, the question is asking the name of an object referred to as ‘this thing’. ‘love’ is an affectionate name for the listener like ‘darling’ or ‘honey’. In the second version, the object is ‘this thing called love’, or more simply ‘love’ so in fact it is a poetic way of asking ‘what is love?’. I’m sure Kylie and Kermit have brought you up very well, Dmitry.